Traditional and New Orleans style Jazz from three musos at the top of their game! 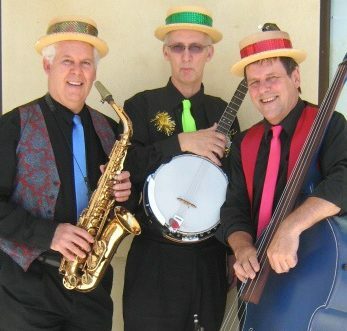 AARVARK JAZZ BAND is an acoustic, mobile jazz trio of banjo, clarinet/sax and double bass. 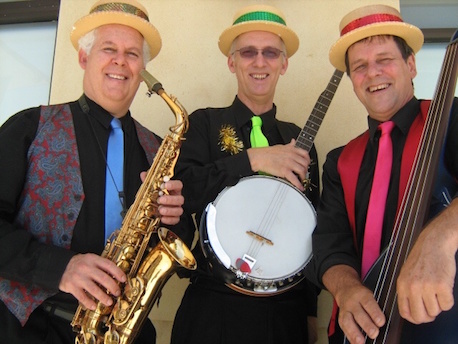 AARDVARK can play anywhere, parks, boats, stages, backyards and foyers or move through vast dining halls delighting each table with their toe-tapping, feel-good Jazz standards. Headed by well known jazz guitarist, Kim Anning, AARDVARK have an extensive jazz repertoire that will please the most discerning of jazz fans.